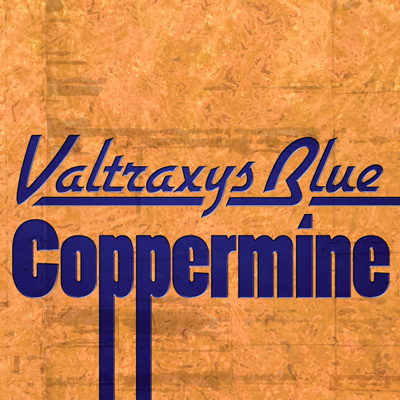 The next ValtraxysBlue compilation was to be called “Coppermine”, but music production eventually tapered off. The following songs belong to the main body of ValtraxysBlue music after Optivetica, not including later Remixes and Parodies. Most of these were recorded in Cockos Reaper (about version 3.5 thru 4.3) using Reaktor (versions 5 and 8) and Jamstix (3.x) which vastly improved most of the percussion playing. Recorded about 2011, the music was originally written as a solo piano piece for Peter Lieuwen’s 20th Century Music Composition class in the spring of 1991.
a.k.a. Planet(arium) of the Arp(eggiator)s. This ended up being sort of a tribute to my very first exposure to electronic music. When I moved to Amarillo in 1980, I joined an astronomy club that met at the planetarium. The leader and a couple of the members introduced me to some early Tangerine Dream sounds, which we called “planetarium music” – since none of us had ever heard it anywhere else, and it was even before KACV played any of the somewhat-related “new age music”. It was that exposure that led me to visit a local Hastings music store and ask, rather unknowingly, if they had any electronic music. The salesperson did not know, but guessed around to find a couple of bands that had “Electric” in the name (ex: ELO), and also found the epiphanic “Audion” album by Synergy (Larry Fast) that started me into this hobby. The next three are the best of several Jamstix experiments.